WASHINGTON. Funding requested for Department of Defense (DoD) Major Defense Acquisition Programs (MDAPs) for Fiscal Year (FY) 2020 totals $89.3 billion, accounting for about 34 percent of the Trump administration’s Procurement and Research, Development, Test, and Evaluation (RDT&E) funding request for the Department of Defense (DoD) of $247.3 billion. Included below are updates on programs such as the Joint Light Tactical Vehicle (JLTV), the Apache helicopter, the F-35, cyberspace programs, the B-21 Raider, the Unmanned Surface Vehicle, and more. The president’s Fiscal Year (FY) 2020 budget request for modernization in the RDT&E and procurement titles encompasses 106 Major Defense Acquisition Programs (MDAPs) that spell out 2,487 Program, Project, and Activity (PPA) line items. This funding request is covered in the DoD’s “Program Acquisition Cost by Weapons System” booklet, which lists funding for programs that have been designated as MDAPs. To read the entire booklet, visit https://comptroller.defense.gov/Portals/45/Documents/defbudget/fy2020/fy2020_Weapons.pdf. The F-35 Joint Strike Fighter (JSF) is a fifth-generation strike fighter for the Navy, Marine Corps, Air Force, and U.S. allies. The F-35 consists of three variants: the F-35A Conventional Take-Off and Landing (CTOL), the F-35B Short Take-Off and Vertical Landing (STOVL), and the F-35C Carrier variant (CV). The FY 2020 program procures 78 aircraft in FY 2020: 48 CTOL for the Air Force, 10 STOVL for the Marine Corps, and 20 CV for the Navy. The program also accelerates an organic depot maintenance capability to reduce depot repair cycle times to improve air-vehicle availability rates. Total FY 2020 funding requested is $11.211 billion, down slightly from the $11.580 billion spent in FY 2019. The F-15C/D is a twin-engine (F-15C single seat/F-15D dual seat), supersonic, all-weather, day/night, air-superiority fighter aircraft. The F-15E is a twin-engine, dual-seat, supersonic dual-role, day/night, all-weather, deep-interdiction fighter with multirole air-to-air/air-to-ground capabilities. The FY 2020 program initiates a new program to procure the F-15EX, which will initially refresh the F-15C/D fleet with a planned buy of 144 aircraft, with the potential to refresh the remainder of the F-15C/D fleet and the F-15E fleet. The program continues the F-15E Radar Modernization Program to replace the legacy radar. The F-15C/D radar upgrade program will extend through FY 2021 to replace the mechanically scanned antenna on F-15C/D aircraft with an active electronically scanned array (AESA). Technology maturation efforts for the Eagle Passive/Active Warning Survivability System are ongoing. Total FY 2020 funding requested is $2.055 billion, up from $1.004 billion spent in FY 2019. The P-8A Poseidon is a multimission platform designed to replace the P-3C Orion propeller-driven aircraft. The FY 2020 program procures six P-8A aircraft, support equipment, spares, and repair parts. It also continues research and development on the aircraft systems that will be delivered and installed incrementally. Total FY 2020 funding requested is $1.513 billion, down from $2.245 billion spent in FY 2019. The B-21 Raider, previously referred to as the Long Range Strike-Bomber (LRS-B), is a new high-tech long-range bomber that will eventually replace a portion of the Air Force’s bomber fleet. The B-21 initial capability will be fielded in the mid-2020s. The Air Force plans to procure a minimum of 100 aircraft. The FY 2020 program continues engineering and manufacturing development of the B-21. Total FY 2020 funding requested is $3.004 billion, up from $2.279 billion spent in FY 2019. The AH-64E Apache program is a parallel new-build and remanufacture effort, integrating a mast-mounted fire-control radar into an upgraded and enhanced AH-64 airframe, resulting in a zero-time Longbow Apache, which restarts its service life and upgrades the aircraft with updated technologies and performance enhancements. The AH-64E has entirely new open architecture computer systems, including an all-digital cockpit flight control. The FY 2020 program funds the remanufacture of 48 AH-64D aircraft to the AH-64E configuration in the fourth year of a five-year multiyear procurement contract (FY 2017 – FY 2021) and continued upgrades. Total FY 2020 funding requested is $1.003 billion, down from $1.463 billion spent in FY 2019. 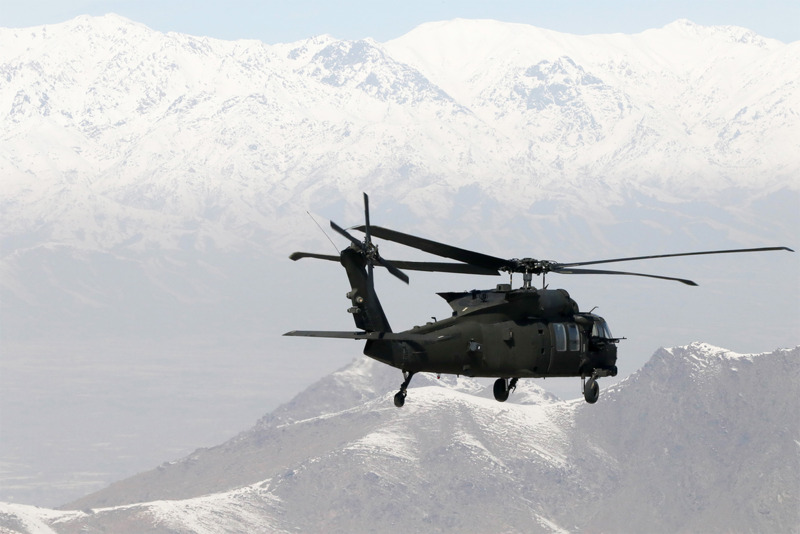 The UH-60 Black Hawk is a twin-engine, single-rotor, four-bladed utility helicopter and comes in many variants; one modification is the UH-60M, which features a digital networked platform with greater range and lift. The FY 2020 program funds procurement of 73 UH-60M aircraft, in the fourth year of a follow-on five-year multiyear procurement contract (FY 2017- FY 2021). It also funds procurement of 25 cockpit kit upgrades of UH-60L helicopters to UH-60V. Total FY 2020 funding requested is $1.673 billion, up from $1.448 billion spent in FY 2019. The U.S. Air Force MQ-9 Reaper UAS program is comprised of an aircraft segment consisting of aircraft configured with an array of sensors to include day/night full-motion video, signals intelligence, and synthetic aperture radar sensor payloads, avionics, data links, and weapons. The FY 2020 program funds the continued development, transformation, and fielding of Reaper aircraft and ground stations. The base request includes the procurement of three MQ-9 aircraft, arranges for twelve ground-control stations, and continues the modification of MQ-9s to the extended-range configuration. The Overseas Contingency Operations (OCO) request includes the procurement of nine additional MQ-9 aircraft for the USAF and three MQ-9 aircraft for the USMC. Total FY 2020 funding requested is $1.025 billion, up from $741 million spent in FY 2019. The U.S. Navy MQ-25 Stingray Un­manned Carrier Aviation program is rapidly developing an unmanned capability to embark as part of the Carrier Air Wing (CVW) to conduct aerial refueling and provide intelligence, surveillance, and reconnaissance (ISR) capability. The program is expected to enter initial operational capability by FY 2024. The FY 2020 program funds production development, procures three demonstration aircraft, conducts engineering analysis, and initiates assembly of four developmental vehicles. Total FY 2020 funding requested is $671 million, up from $519 million spent in FY 2019. The Handheld, Manpack, and Small Form Fit (HMS) program procures radios that are software-reprogrammable, networkable, multimode systems capable of simultaneous voice and data communications. The HMS program encompasses the single-channel Rifleman Radio (RR), two-channel Leader Radio (LR), Manpack Radio (MP), and Small Form Fit (SFF) radio. The FY 2020 program funds the full and open competition contract strategy for the LR and MP radios and provides for testing of the LR and MP candidate products to demonstrate compliance with program requirements. It also supports safety, spectrum supportability, and certifications necessary for fielding and procures as many as four Brigade Combat Team (BCT) LR and MP radios. Total FY 2020 funding requested is $504 million, up from $302 million spent in FY 2019. The DoD released a new cyber strategy in September 2018 that articulates how the department will implement priorities of the National Defense Strategy in and through cyberspace. The FY 2020 program funds cybersecurity capabilities in the following focus areas: endpoint management; identity, credential, and access management; insider-threat security; secure application development; cross-domain security to include mission partner networks; supply chain risk management; encryption; and other critical infrastructure. The program also increases cyberspace warfighting capabilities and continues development of the Unified Platform while supporting weapon-system and critical-infrastructure vulnerability assessments and mitigation efforts. Total FY 2020 funding requested is $2.845 billion, up from $2.593 billion spent in FY 2019. The Joint Light Tactical Vehicle (JLTV) is a joint program currently in development for the Army and Marine Corps, with the JLTV intended to replace the High Mobility Multipurpose Wheeled Vehicle (HMMWV, colloquially called the Humvee). The FY 2020 program procures more than 4,000 JLTVs of various configurations to fill multiple mission roles and minimize ownership costs for the Light Tactical Vehicle fleet. Total FY 2020 funding requested is $1.642 billion, down from $1.928 billion spent in FY 2019. 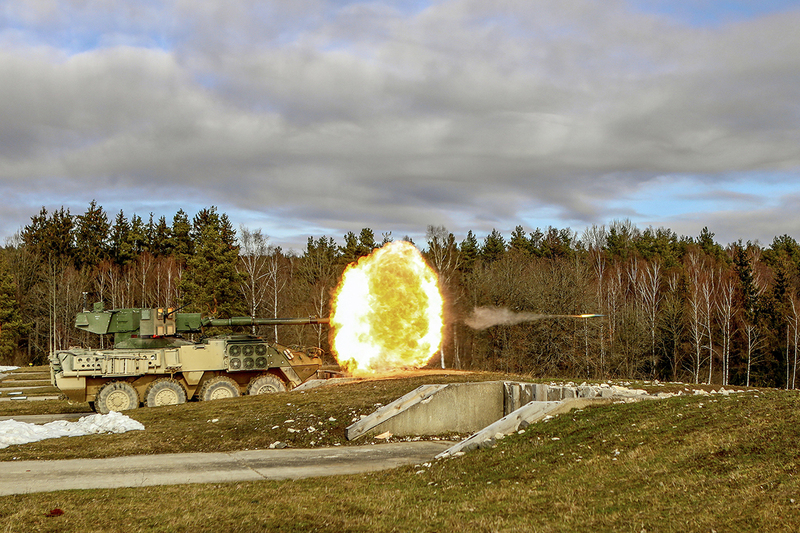 Figure 1: An Army Stryker mobile gun system fires on targets at the Grafenwoehr Training Area in Germany. Photo by Army Sgt. Timothy Hamlin. The Amphibious Combat Vehicle (ACV) will replace the aging Amphibious Assault Vehicle. The Approved Acquisition Objective (AAO) is 204 vehicles. ACV Increment 1.2 will deliver additional ACV 1.1 Personnel Variants (currently in production) as well as Command and Control (ACV-C), Recovery (ACV-R), and 30-mm (ACV30) Mission Role Variants (MRVs). The FY 2020 program funds the ACV 1.1 full rate production Lot 3 of 56 vehicles, plus procurement of related items. Total FY 2020 funding requested is $395 million, up from $233 million spent in FY 2019. The Terminal High Altitude Area Defense (THAAD) is an element of the Ballistic Missile Defense System (BMDS). The FY 2020 program supports the procurement of 37 THAAD interceptors, obsolescence mitigation, production and training support, and tooling and equipment for the THAAD stockpile reliability and recertification program. It funds THAAD software upgrades and provides for improved capability to engage short-range, medium-range, and limited intermediate-range ballistic missile threats. Total FY 2020 funding requested is $754 million, down from $1.463 billion spent in FY 2019. The Aegis Ballistic Missile Defense (BMD) is the naval element of the BMDS and provides BMD capability on Aegis cruisers, on destroyers, and ashore. The FY 2020 program procures approximately 30 SM-3 Block IB missiles and seven SM-3 Block IIA missiles, integrates SM-3 Block IIA into the BMD Weapon Systems, continues development of the Aegis BMD 5.1 and Aegis BMD 6 Weapon Systems, and supports procurement of 12 inline/back fit shipsets, five weapons system upgrades, and 19 installs of the BMD 4.x/5.x equipment. Total FY 2020 funding requested is $1.720 billion, up from $1.631 billion spent in FY 2019. The Army’s Patriot system is a long-range air defense guided missile system that provides protection for ground combat forces and high-value assets. The FY 2020 program continues improvements in software for improved combat identification, improved communications, interoperability, supportability, and electronic warfare capabilities; it also supports transition to the Integrated Air and Missile Defense architecture. Total FY 2020 funding requested is $804 million, up from $488 million spent in FY 2019. The Columbia class Ballistic Missile Submarine is designed to replace the current Ohio class of Fleet Ballistic Missile Submarine (SSBN). Construction begins in FY 2021 for FY 2028 delivery when the first Ohio-class ships begin decommissioning. The FY 2020 program funds advance procurement for long-lead items, detail design, and research and development of nuclear technologies and ship systems such as the propulsion system, combat systems technology, and the common missile compartment. Total FY 2020 funding requested is $2.232 billion, down from $3.906 billion spent in FY 2019. The Virginia-class submarine is a multimission nuclear-powered attack submarine. The FY 2020 program funds three ships, advance procurement for four ships in future years, and outfitting and support equipment. It also continues funding the development of the Virginia Payload Module, technology, prototype components, and systems engineering required for design and construction. Total FY 2020 funding requested is $10.218 billion, up from $7.428 billion spent in FY 2019. The Unmanned Surface Vehicle (USV) is a reconfigurable, multimission vessel designed to provide low-cost, high-endurance, reconfigurable ships able to accommodate various payloads for unmanned missions and augment the Navy’s manned surface force. Future missions and payloads will be informed as the concept of operations is developed. The FY 2020 program funds continued development, testing, and procurement of two Large USVs and continued research and development of payload systems. Total FY 2020 funding requested is $447 million, up from $49 million spent in FY 2019. The Global Positioning System (GPS) provides worldwide, 24-hour, all-weather 3D positioning, navigation, and precise timing information for military and civilian users. The FY 2020 program funds launch campaign and on-orbit checkout for GPS III Space Vehicles (SVs) 03 and 04 and procures independent, technical, systems engineering, and integration support critical to managing the production of SVs 05 through 10. It funds continued development of the GPS III Follow-on satellites (SV 11+) and funds the first of 20 production satellites (SV-13). Total FY 2020 funding requested is $1.752 billion, up from $1.425 billion spent in FY 2019.